Only a lucky few are able to watch the biggest games of the year in person, but the rest of us can stream the World Series live from the comfort of our own homes. The World Series set to air on Fox again in 2019, with numerous live streaming options if you can't, or just don't want to, watch it on TV. There are so many options that it may seem too complicated, but it's actually fairly simple if you break it down. If you have a cable or satellite television subscription, and an MLB.tv subscription, then you can stream the entire Fall Classic on MLB.tv. If you just have a cable or satellite subscription, then you can stream through Fox Sports Go. If you don't subscribe to cable or satellite television, then you have two main options: sign up for a free trial from a television streaming service, or use an unofficial streaming app like Ace Stream. Postseason.tv: The official source for Major League Baseball live streams, which is only available during the postseason. Live television streaming services: Any service like fuboTV or Sling TV that offers a live stream of the local Fox affiliate will also stream the World Series. Unofficial streams through Ace Stream: Ace Stream is a streaming app that allows fans to provide streams of games like the World Series. Major League Baseball does not have an official live stream provider for postseason games, which includes the World Series. 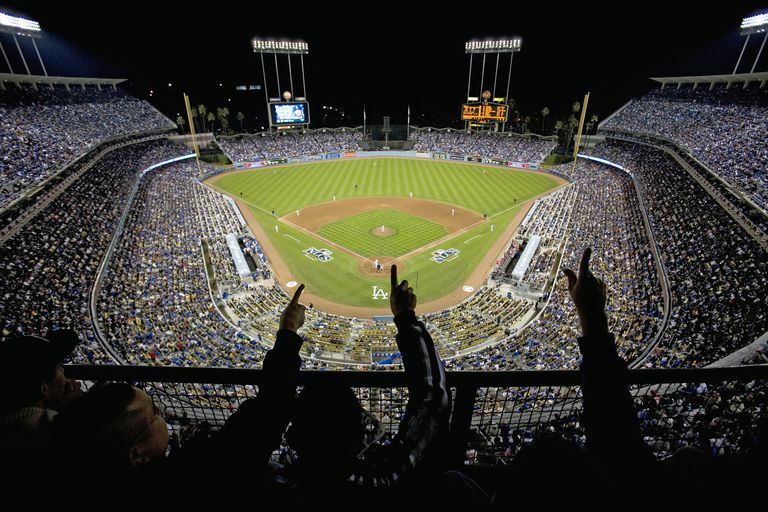 Official MLB World Series live streams are only available if you subscribe to both MLB.tv and a qualifying cable or satellite television provider. If you subscribe to a qualifying cable or satellite television provider and MLB.tv, you can stream the World Series on MLB.com. 1) You must subscribe to a qualifying television provider. 2) You must subscribe to Major League Baseball's streaming service. If you meet both of those requirements, you may be able to watch postseason games, like the World Series, through the official MLB source. Log in to your MLB.com account. Place your mouse over MLB.tv in the navigation bar. Look for the TV icon beneath the game you are interested in, and click one of the links. Fox Sports Go lets you stream the World Series if you have a cable or satellite subscription. If signing up for an MLB.tv subscription in addition to cable sounds like a little too much, but you do have a cable or satellite subscription, then you can actually stream the World Series through Fox Sports Go. Click TV PROVIDER SIGN IN. Validate your cable or satellite subscription. On game day, click on a World Series game in the Live Now section. Since the World Series is broadcast on Fox, you can live stream the whole thing through any service that provides access to a local Fox affiliate. There are a few problems that you may run into, but most live streaming television services offer a free trial period that lasts long enough to watch the whole World Series if you decide that you would rather not pay for a television streaming subscription. fuboTV is the streaming service of choice for many sports fans, and it includes a feed of your local Fox station if you live in a participating market. Sling TV includes Fox, but make sure that you choose the Sling Blue or Sling Orange + Blue package. The Sling Orange package doesn't include Fox. PlayStation Vue is more expensive than Sling, but its cheapest plan does include Fox. This is a good choice if you use your PlayStation to stream, but the service also works on phones and computers. Hulu with Live TV is available as an add-on to regular Hulu subscriptions, and it includes Fox. YouTube TV also includes Fox, which is available in 49 of the top 50 markets in the United States, so it's worth a look. Network television stations like Fox are only available through online streaming services if those services have reached an agreement with the local affiliate in your area. If your local Fox station has not reached an agreement with any streaming service, you will not be able to watch the World Series with this method. To verify the availability of Fox in your area, visit the site of each streaming service and enter your ZIP code. For Baseball fans who don't live in major television markets, Ace Stream may be the best option to stream the World Series online. Ace Stream is a program that allows you to view unofficial streams of sports games from around the world. Since Ace Stream relies on other fans to provide the streams, it can be difficult to locate quality streams. It's also very important to only use streams from trusted sources. Download and install Ace Stream Media. Locate an Ace Stream Content ID from a trusted source. Launch Ace Player, which installs along with Ace Stream Media. Click on Media > Open Ace Stream Content ID. Paste in your content ID and click Play. Download and install the Ace Stream Engine app. Launch the Ace Stream Engine app. Tap the ⋮ icon (three dots). Input a content ID from a trusted source, and tap OK. Ace Stream makes use of unofficial streams that are provided by other fans. Do not use content ID sources that you don't trust, and don't pay for Ace Stream content IDs. The best way to find Ace Stream content IDs is to search for "ace stream content ID world series" on your favorite search engine, but a curated source like the MLBStreams subreddit will often have the best streams. Use a television station availability tool to see if you can watch the World Series with an antenna. If you have exhausted all of your streaming options, it may still be possible to watch the World Series for free. Since the World Series is broadcast on Fox, you can actually watch the whole thing on your local Fox station, even if you don't have cable. The best way to find out if you are within range of a Fox station is to use a tool like the FCC DTV Reception Map. Enter your ZIP code or full address, and the tool will show you the television stations that are located within range. Many stations that are listed as having strong signals can be received with inexpensive indoor antennas, while moderate and weak stations require more expensive outdoor antennas. There are a number of other tools, like Antenna Web, that can provide you with more information about the type of antenna you need. If you don't have a television, you can pair a USB TV tuner with the antenna of your choice and watch local television, including big events like the World Series, right on your computer. This is a great alternative for sports fans who don't own televisions and also don't have access to Fox through online streaming services due to geographical restrictions.